With our Exterior Sun Shading Systems, we block out the sun of a home or business before it enters the room. This is our most effective way in reducing heat gain in an for any project. Just roll them down when you need heat protection and roll up when you want to enjoy your view. Below you will find all our Oasis 2700 Exterior Solar Shading System. Please contact us for more information. 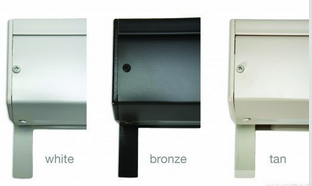 Our Oasis 2700 Exterior Window Shades are the perfect window solution for extreme sun exposures. 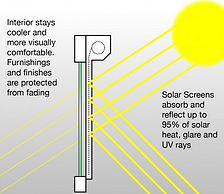 These exterior solar screen shades reduce heat gain significantly and lower energy costs for air conditioning. Utilizing a European concept, exterior solar shades mount on the outside of the windows and block up to 97% of the heat and UV rays before the sun enters through the window. The bulk of the heat is either absorbed by the screen and then dissipated or reflected. Control heat gain by rolling down exterior solar shades on hot days to block the heat and rolling the shade up when you don’t need it. In some climates you may prefer to have shades retracted to maximize solar heat gain in the winter. 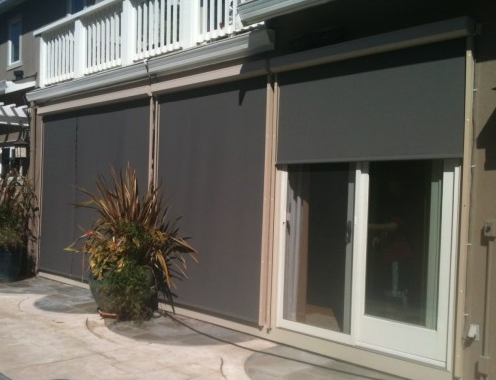 Exterior Solar Screen Shades are custom made for windows up to 120″ wide x 120″ high.